Three million truck drivers and 37 billion dollars of diesel fuel keep the American economy functioning. 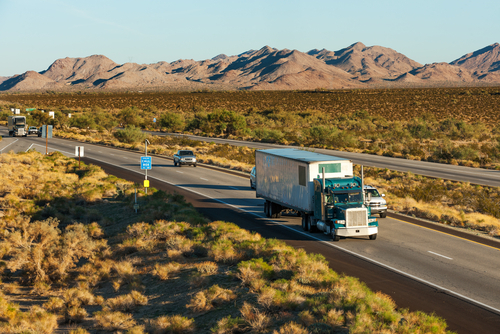 Truck drivers keep Americans happy and healthy by ensuring all our goods are delivered, so it’s only natural that we should strive to keep truckers happy and safe on the roads. It can be a long, lonely drive out there; luckily, there’s plenty for truckers to keep busy– all it takes is a quick look under the hood. This sounds like common sense, but packing for a truck drive is much different than packing to see your parents in Boca for the weekend. Seasoned truck drivers will agree that there can be many unforeseen events where you’d kill for an odd item or two. In addition to regular toiletries (and extra soap), pack flip flops for truck stop showers and LOTS of disinfectant. You never know the quality of the next bathroom you’ll find yourself in. Also, bring extra towels. Tools: you’ll need standard tools that come with basic truck repair needs, but also pack a bevvy of duct tape, electrical tape, screwdrivers (Phillips and flat), extra gloves for fueling and unloading, a vice grip and an adjustable wrench. A 12 volt cooler is also extremely time and money-saving for keeping your snacks fresh and your energy drinks ice cold. If you don’t have a camera phone with a lot of video recording space, bring a camcorder to record any suspicious behavior you may encounter, or as proof or evidence in case of an accident. A voice recorder is also a fun way to record your autobiography or interesting occurrences on the road. The invention of the smartphone must be a dream come true for the traditional trucking industry– as they offer the ability to navigate, entertain and educate all in one. While it is highly unrecommended you play Candy Crush or browse Facebook while navigating the asphalt rivers of America, there are plenty of apps that seasons truckers would agree are a godsend. Google maps and the Weather Channel: together these charming features can help you adjust your drive and drivetime to the ebbs and flows of weather patterns in advance, while apps like Waze can not only, ahem, help you find where you’re going, but also avoid traffic, road blocks, accidents and construction. Truckers have an annoying, yet necessary amount of paperwork to do, so staying organized is a big deal. Apps like transflo allow truckers to take photos and create digital copies of their paperwork and deliver them quicker, which speeds up the paycheck process. Fuelbook also helps keep you organized. If you cover your own fuel costs it can provide instant access to fuel prices in the area, while the app, Keep Truckin’ acts as a logbook that can help you plan driving times and rest breaks with precision and accuracy. An extra few pounds is easy to accumulate when you’re sitting down all day, but apps like Fast Food Calorie Counter and My Fitness Pal help keep your six pack from becoming a waterbed. Calorie counter lets you estimate exactly how much fuel you’re putting in your body– because odds are you won’t find a calorie chart at Debbie’s Roadside Diner in Anytown, USA. Fitness pal, on the other hand, helps you do simple calculations to ensure you’re input matches your athletic output.